To change a user, do the procedure in this topic. On the user detail section, click Edit . The Basic Information tab specifies the general information for your user. 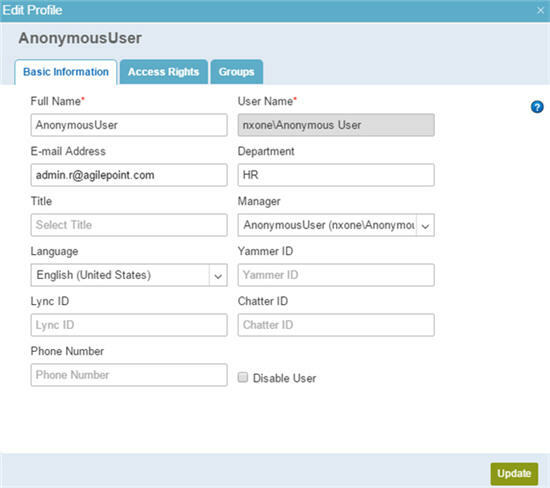 The Access Rights tab specifies the roles for your user. The Groups tab specifies the groups for your user.